An application “favicon” (sometimes referred to as a shortcut icon or Web site icon), is typically a 16×16 pixel image associated with a Web site or Web page. This special icon appears in the tab when the Web site or application is loaded, and also in the bookmark toolbar. Below are examples of the vRealize Automation favicon. Replacing the favicon could be a requirement for rebranding of the vRealize Automation portal for some customers. Here are the steps that can be followed to complete change the icon with a new 16×16 icon. 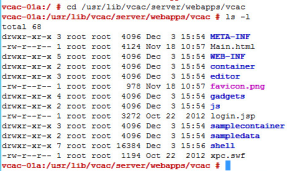 Log the vRA Appliance host. You can either use SSH to log in as “root” user, or a tool such as PuTTy. 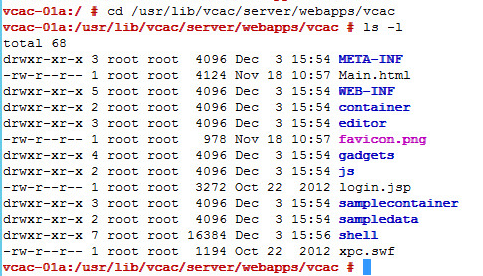 Navigate to the web server vCAC folder (this is where all of the .war file contents are placed when they have been exploded). Here you will find the favicon.png file. Note that folder names are case sensitive. Back up the default favicon.png (in case you need to revert to it at some point). Use the following copy command to make a backup. Copy your new icon file to this folder. For the case of this example, we will use the vRO (vCO) icon since it should already exist in a different location on your vRA virtual appliance. You will need to use the scp command to copy your new image to the vRA appliance. Clear cache in your browser. 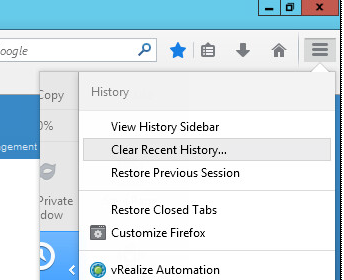 For Firefox, this is done from the History Menu by choosing “Clear Recent History…” and choose “Today” as time range. Close the browser and re-open it, then navigate again to your vRA portal URL. Ensure you have a 16×16 pixel png format of the icon you will use to replace the default favicon. Updates to vRA may restore the default favicon.png file, which means you may need to re-apply these changes after applying an update. In a Highly Available deployment with multiple vRA Appliances running the vCAC Service, you will need to apply this change to each of these hosts. If you are running some instances of the vRA virtual appliance for other purposes (e.g. using an instance just as a Postgres server), those do not require replacement of the image file.